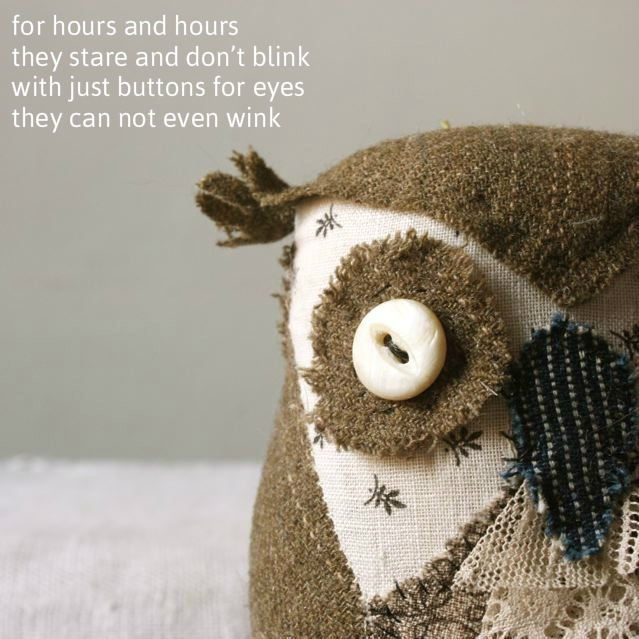 Owls and I go way back and they have always been mythic and magical creatures to me. One of the great legends of my childhood was my mother’s encounter with a great gray owl. If you had known my mother none of the things I make would surprise you at all. Sometimes I feel like I’m barely involved, as though they have been simmering in me all along and just waiting for their opportunity to appear. I think everybody has things like that in them. And the very first film I saw when I was 5 or so was The Royal Ballet’s Tales of Beatrix Potter. 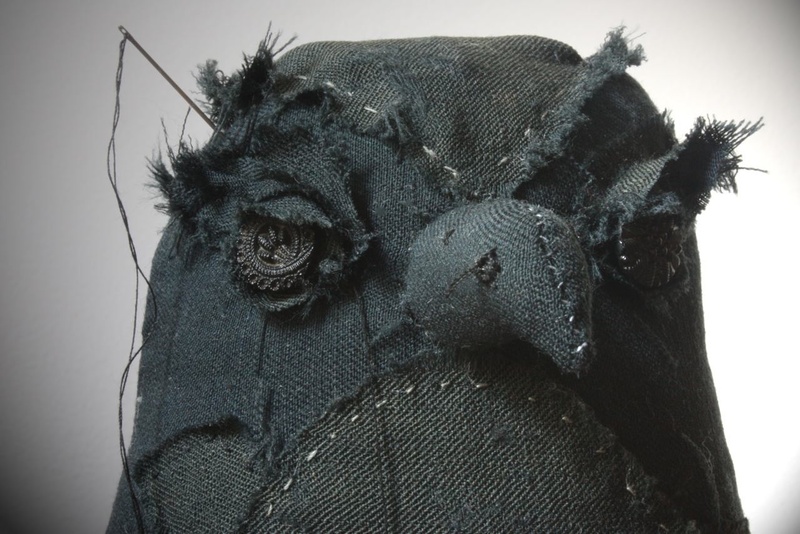 I think Potter’s Old Mr. Brown character figures heavily in the owls that have turned up in my stitching. 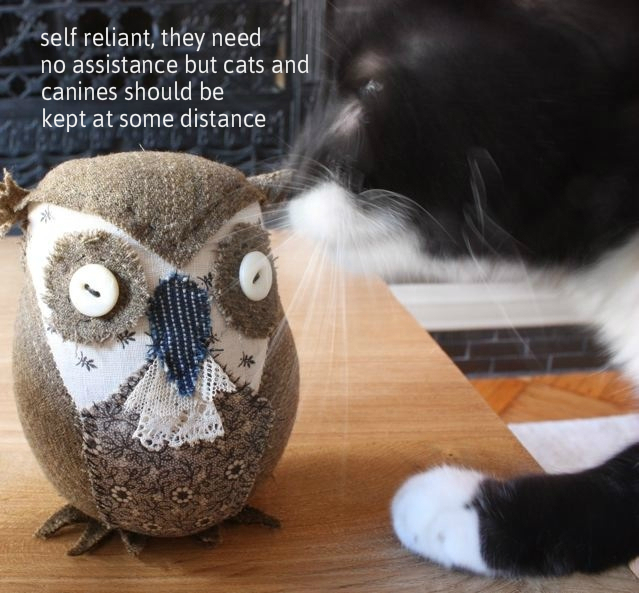 The first owl to appear was Ian (named for Ian McShane whom I love). 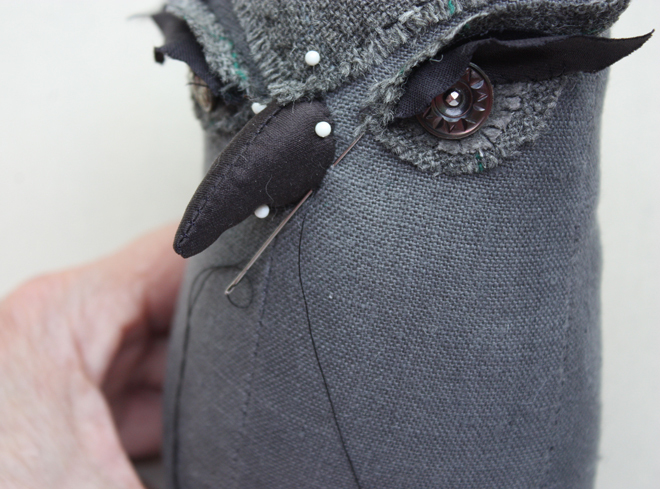 He is made from scraps and has flinty metal button eyes. 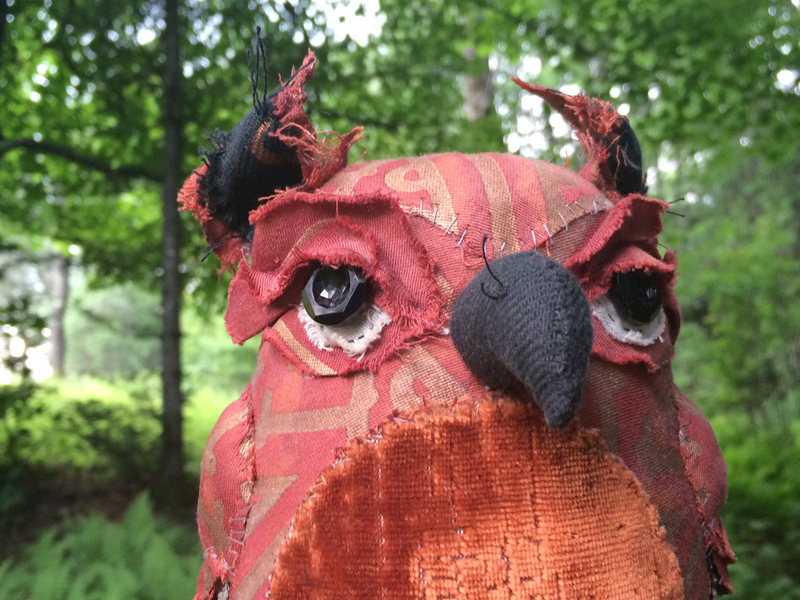 Owls continued on in the Mr. Brown vein with earthy tones and scrappy textures for some time until someone much darker appeared all of a sudden. Chillingworth was made from a single garment, a victorian bodice, one of the first really old garments I acquired. 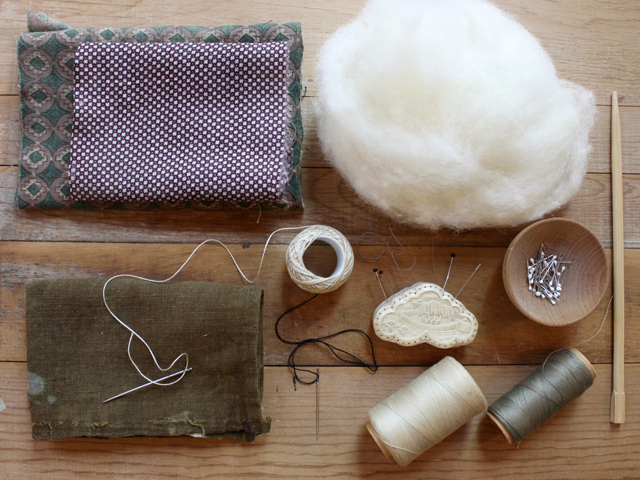 It had all sorts of textures and interesting stitching and mends, most of them found their way into Chillingworth. I love how absolutely dastardly he is, glowering at you with his perfectly mismatched eyes. I’m not sure I have ever achieved that level of malevolence since. But there have been a lot of seriously bad tempered and surly candidates. 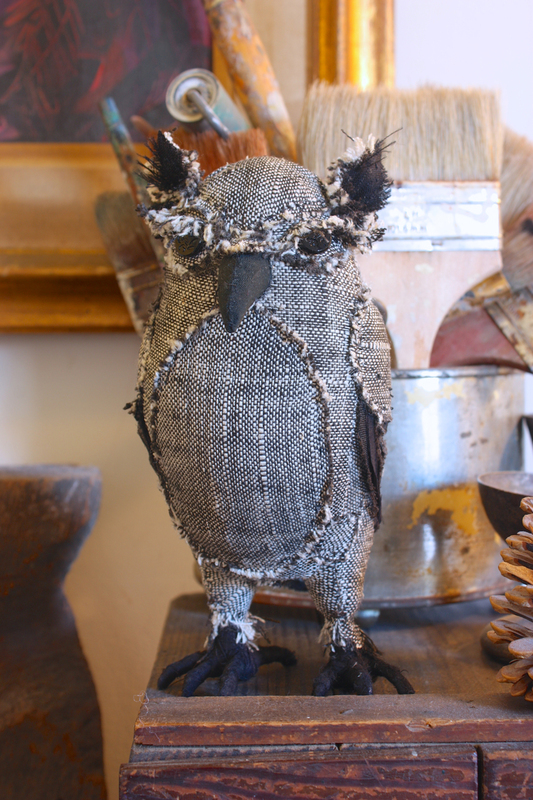 Hundreds of owls and 10 or so years later I’m preparing to share the pattern. I’m working on it as we speak. The pattern templates are finished and tested. 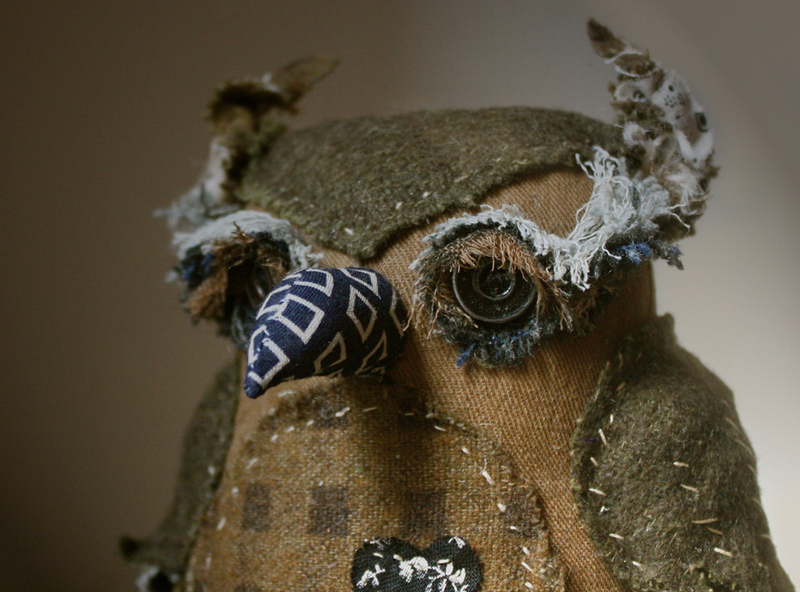 In fact I’m teaching an owl workshop in Los Angeles right now. Most of the photography is done so it is just a matter of formatting and editing now. I’m hoping to have it complete by mid November. 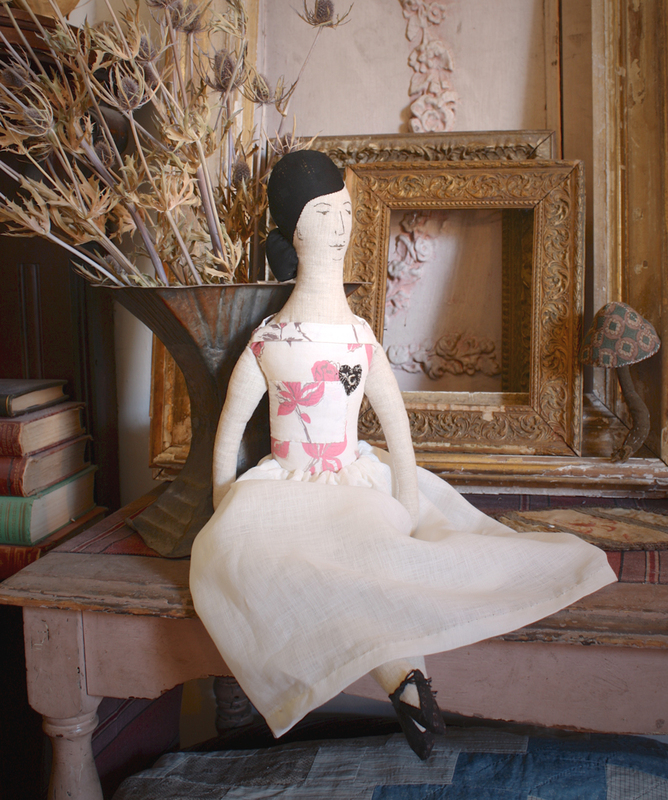 This is rag doll # 2 – Camille. 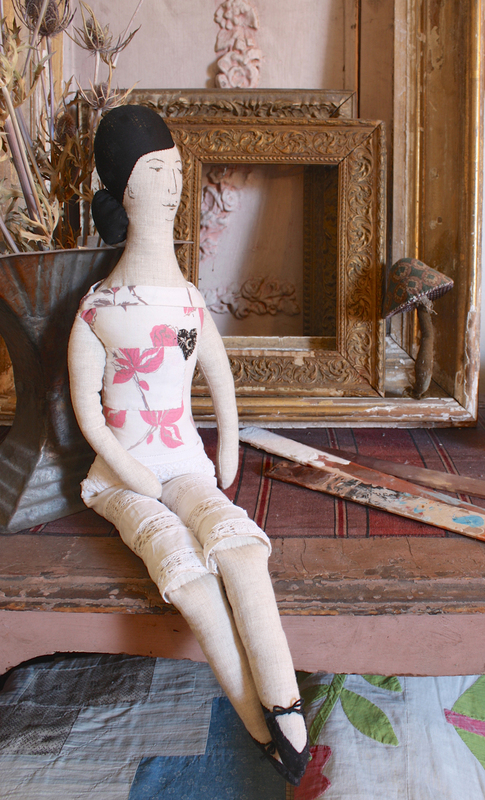 I had not intended to name the rag dolls but as I worked on her that name kept occurring to me so she must want it. She has a very nice life – she just sits around looking serene and thinking about things. Sometimes just in her underwear….. 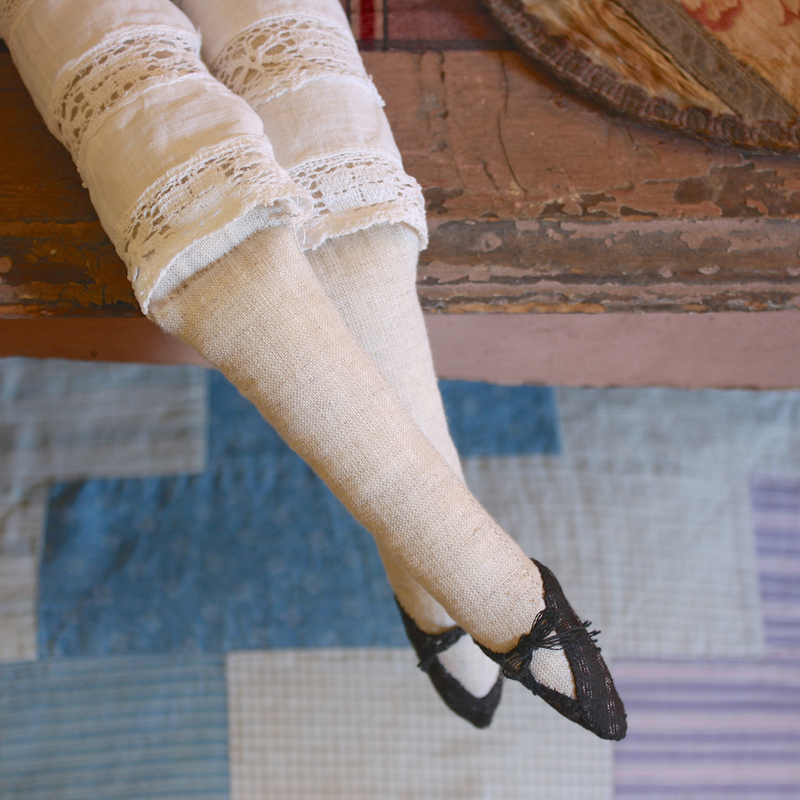 Besides her name she also wanted fancy shoes and pantaloons. 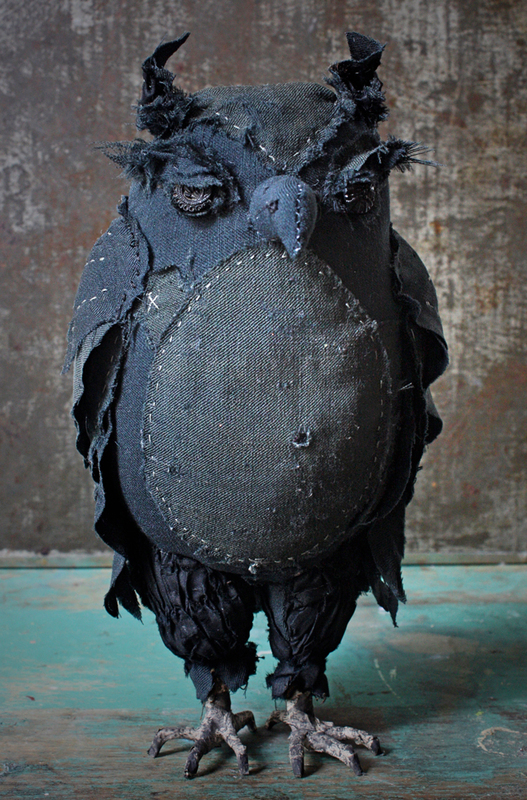 She is in the shop today along with the fellow below – an owl made from Mrs. Brown’s skirt – Chuzzlewit. He seems a little suspicious of you. 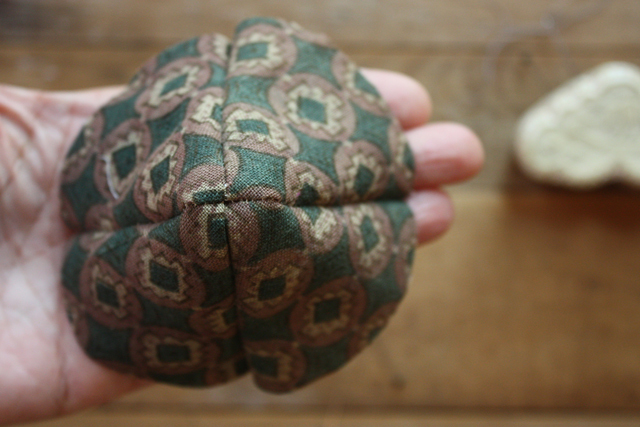 I got about 85% done with my mushroom pattern and decided to scrap all the photos and start over. The text for the steps is all good but I didn’t like the photos. I struggled with them throughout the process, re-shot one section to try to make myself feel better about them, re-edited, applied some photo shop magic but it was all for not – they weren’t what I wanted and they were not frankly – good enough. It’s so painful to come to that place and make that decision this far into a project. Or rather- it’s painful UNTIL I make that decision. I agonized over it for a couple days – wondering if I was being too critical or using perfectionism to procrastinate because I got cold feet – sometimes at the end I get nervous and look for flaws so I can delay – this is not that. They just weren’t good enough. So I decided, started over and felt better right away. The extra work is far less painful than publishing something I don’t feel good about. I put together a new step shooting set up before beginning that made everything easier. It’s not fancy but it works well and I got through half the photography today. I’m much happier with the new photos – they are simpler, clearer, more consistent and prettier than the others (gorgeous fabrics courtesy of Sri Threads). I’ll sail through the rest of the photography tomorrow morning and drop them into the document over the weekend. And in other news – a little more progress on my Fortuny creatures: a recently finished owl – in Fortuny Simboli (cinnamon and copper). 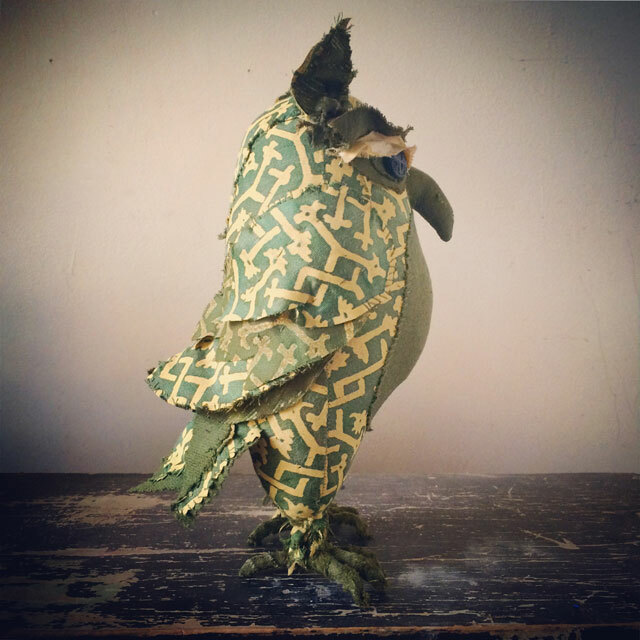 Please meet Pietro – he’s mean, green and not afraid of pattern. 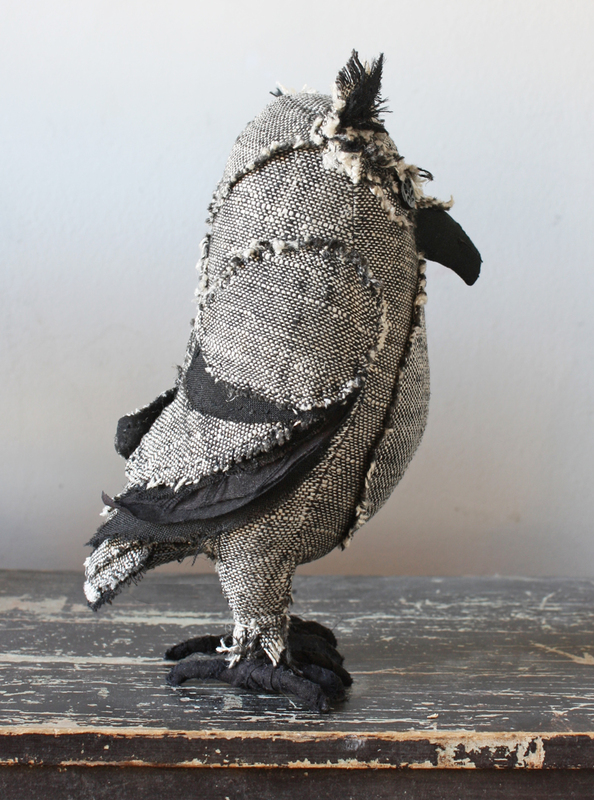 Pietro is being auctioned to benefit The Alpha Workshops – you can find the auction here and more about the wonderful work that The Alpha Workshops does here. 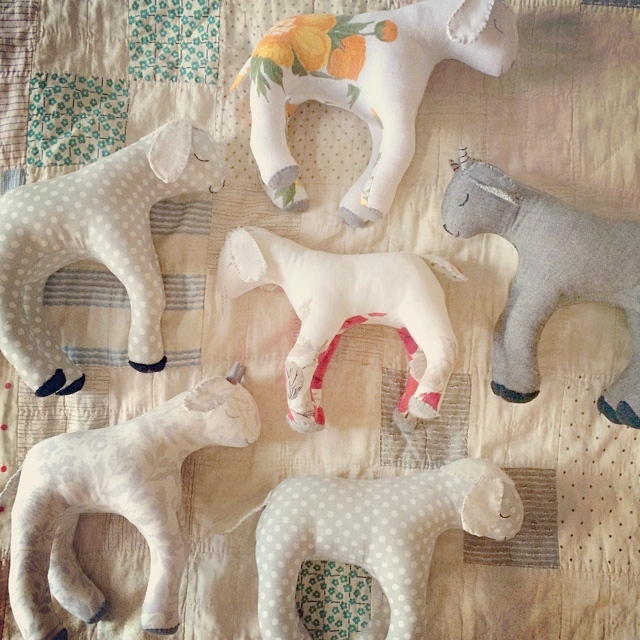 And one other bit of news – I’m having a sample sale today – these are the sleepy lambs and goats I made while creating the sewing pattern – you can find them here. 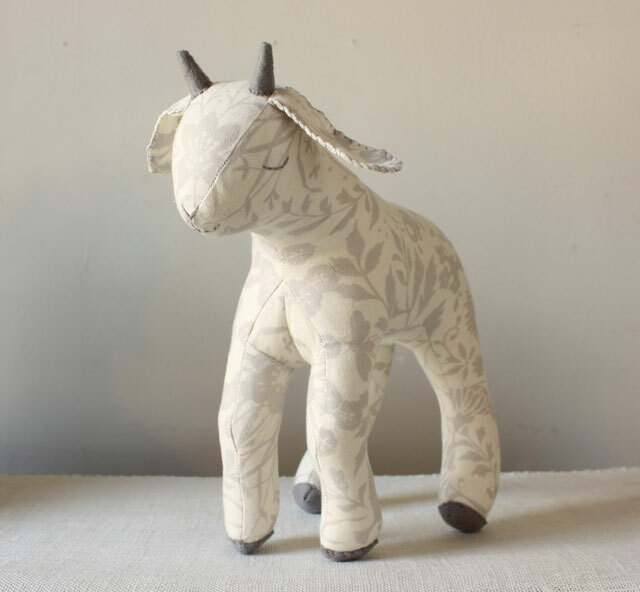 Or if you’d like to make your own the sewing pattern is here. 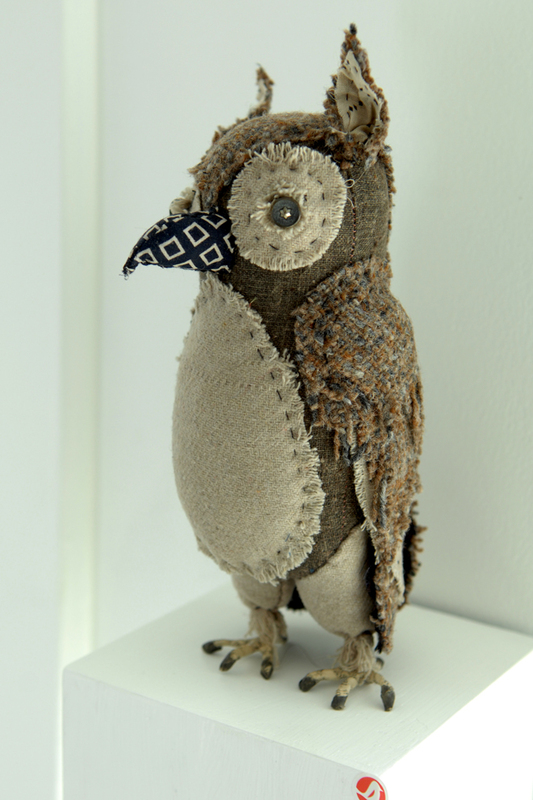 The little owl pattern is available! 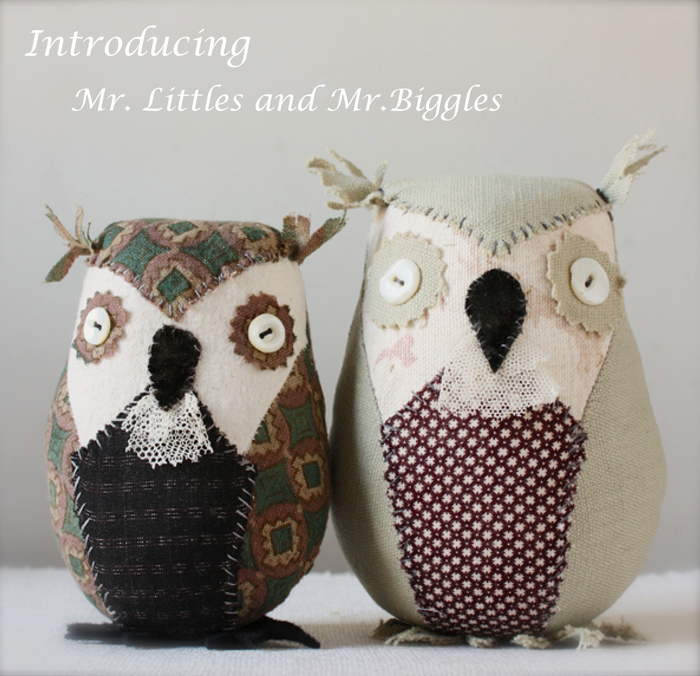 Say hello to Mr. Littles and Mr. Biggles. 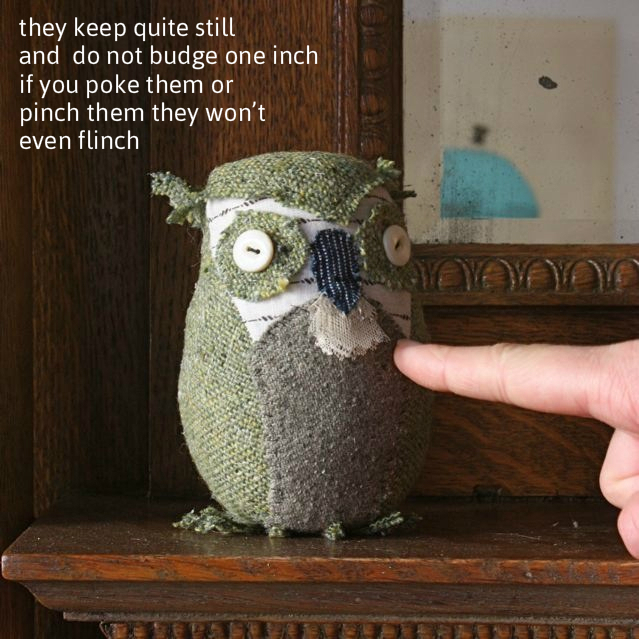 The pattern includes instructions for a little owl and 3! 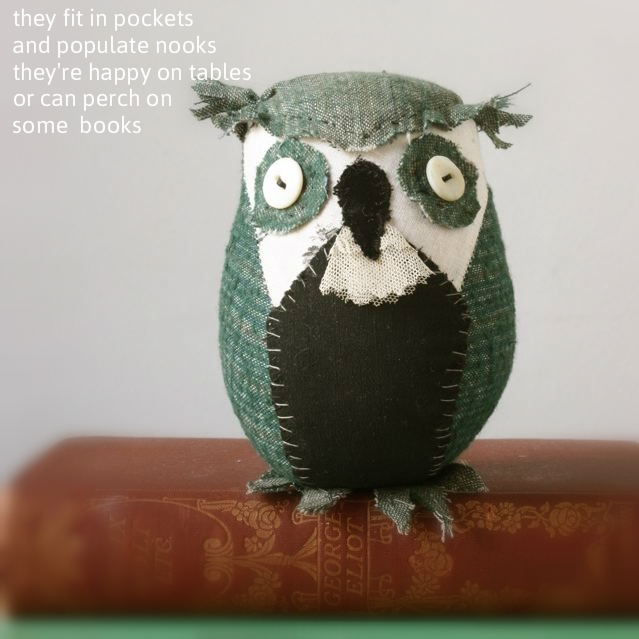 pattern sizes – a 4.5 inch owl, a 5.5 inch owl and a 6.5 inch owl. 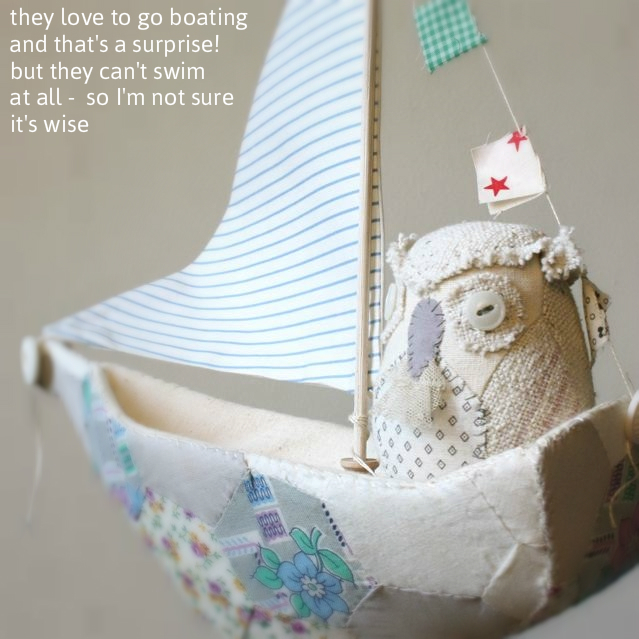 The owls make perfect captains for paper mache ships, the small size works well with the small ship and the medium owl works well with the large ship. The photo below is the small owl in the small ship. 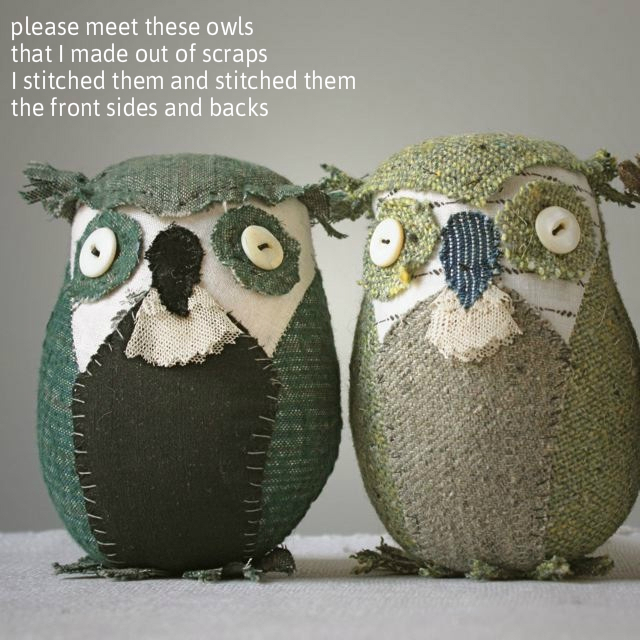 I hope you make owls! If you do I’d love to see – you can email photos to me at ann at ann wood handmade dot com. 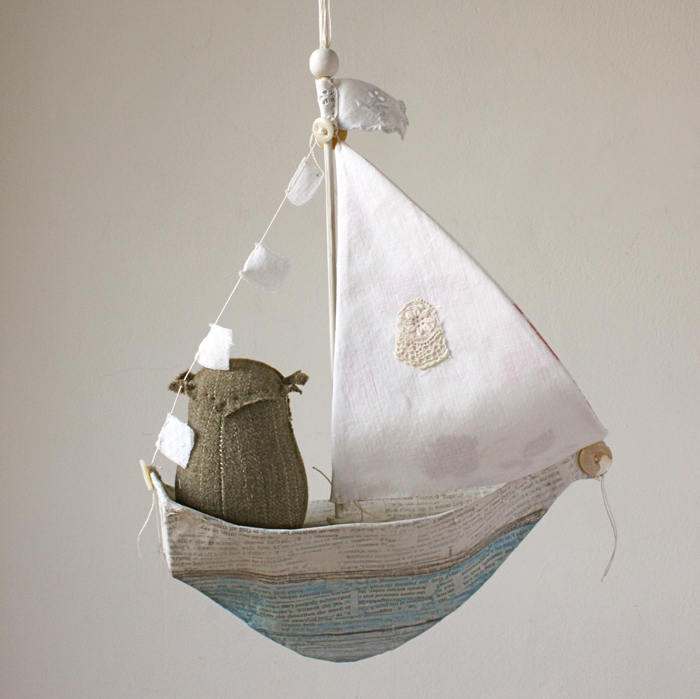 And I’m already working on the next two patterns – fabric sail boats and March lambs – you can check back here or join the mailing list if you’d like an email when new patterns are available. 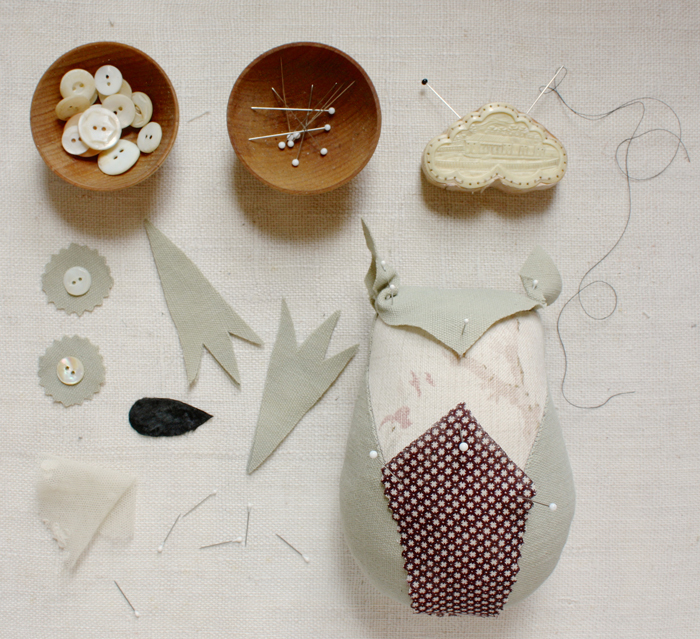 Find the sewing pattern to make your own little owls here. 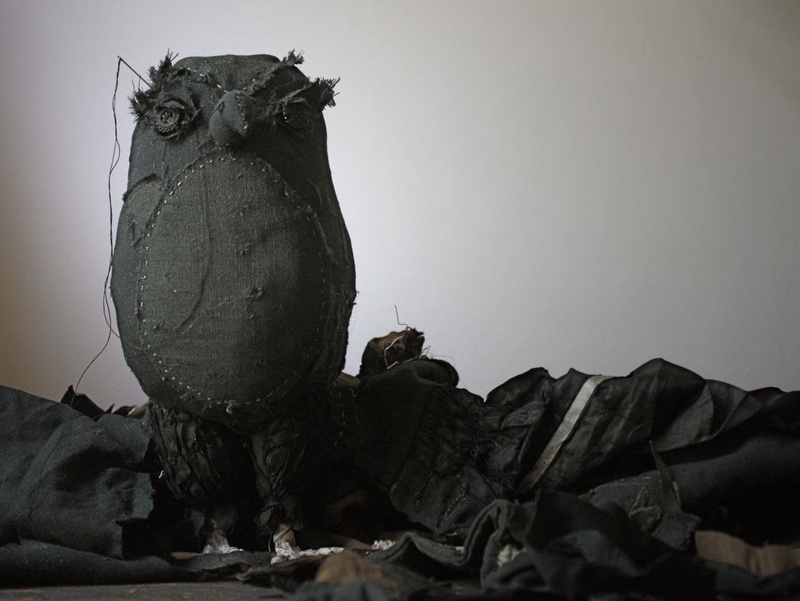 I started working on an owl on Saturday made from this ruined antique bodice and someone very wicked is emerging. I fully intended to make another scoundrel but this guy is so scoundrelly he makes the other look like a pussycat – he kind of surprised me. I already know who he is, a really villainous character, and I’ll tell you his name as soon as he is finished. I also got a massive cold this weekend and spent an insane amount of time staring into the internet. 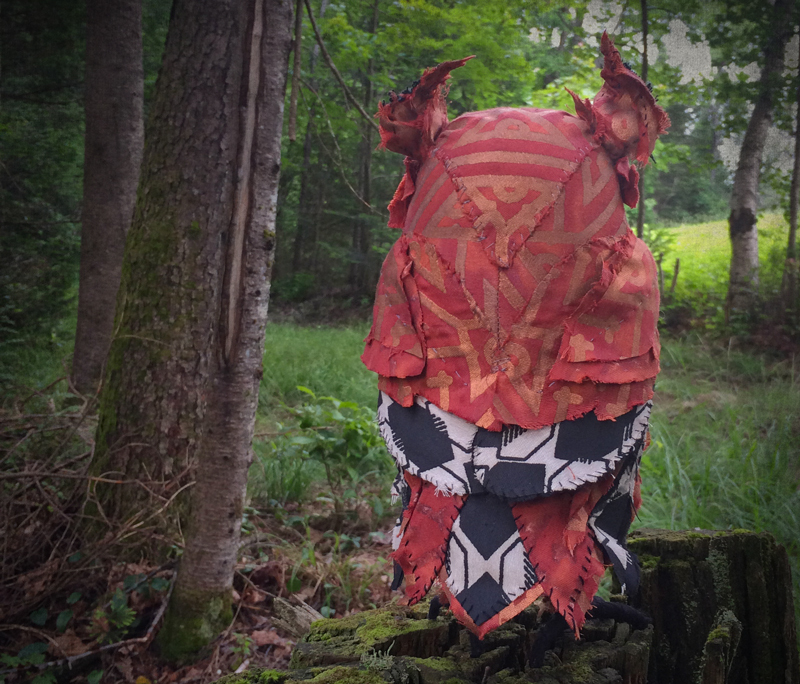 I came upon 2 honest, insightful posts about making stuff and selling it, one is by future girl and that led me to another by dudecraft, both talk about money, creativity and motivation.